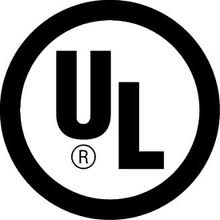 What are Safety Certifications for electronic products? Safety certifications are the labels and/or documents verifying all necessary regulatory compliance requirements have been met in order for a product to be sold legally. In Canada and Europe, products require both EMC Testing and Safety Testing before they can be labeled for sale. In the U.S., many organizations, government agencies or large companies will not purchase a product without a safety certification. Will your product meet Regulatory Compliance requirements? We provide a written report that includes mitigation advice and pretest recommendations. Our goal is to help you understand which safety tests are likely to fail and provide you with a strategy for passage at the formal test agencies. This information greatly increases the chance for success. How much does it cost to do a Safety Certification and Regulatory Compliance? Formal safety certification test are costly, especially if the product has to be resubmitted due to previous failures. Money spent for engineering tests prior to formal safety testing is less expensive in the long run than submitting products for Regulatory Compliance testing resulting in a failure. Besides, formal test agencies simply test and report findings. They are not allowed (or required) to provide mitigation advice to bring a product up to standards. For as little as 25% of the cost for formal tests, Percept offers a pre-scan of your product, along with mitigation and recommendations for successful first time safety certifications. If your product will be sold in other countries, you must be aware of the other standards and conformities your electronic product must pass. Knowing the extensive compliance regulations each country requires is a daunting task. Picking a regulatory and safety testing lab that understands the differences is vital to getting your product mastered. Percept understands these regulatory compliances and can help identify what will pass and what will not in each country that your product will be sold. We can help sift through the extra paperwork and ever changing testing requirements needed throughout the worldwide governments. These are a few examples of how we can provide useful information on some areas of certifying electronic products. The standards and regulations vary from product to product and are dependent on the components within. Many of these standards are pages, sometimes in the hundreds of pages, in length and Percept already knows these in detail to save you time and money.